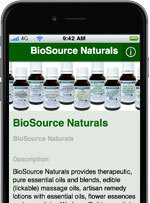 Naturally numb and relieve pain with essential oils known to have analgesic properties (pain numbing). * Spray onto areas of pain. Do not spray over entire body. This minty blend contains distilled water with witch hazel, Polysorbate 20 (derived from coconut as an emulsifier) and Vegetable Glycerin and pure essential oils of helichrysum, peppermint and wintergreen. Avoid spraying in eyes. Do not spray over entire body. Do not use if taking blood thinning prescriptions. Topical application of essential oils is soothing to arthritis and joint pain as they are directly absorbed into the bloodstream. Arthritis Comfort Essential Oil Blend contains tea tree, lemon, cedarwood, frankincense, bay leaf, and myrrh. Headache Relief Essential Oil Blend helps with headache pain by helping you stop it before it ruins your day. * Headache Relief Essential Oil Blend combines peppermint, lavender, eucalyptus, rosewood, and rosemary in a concentrate bottle which must be diluted in a carrier oil. Also available in a pre-diluted 9 ml roll on which can be applied directly to skin. Sore Muscle Rub Essential Oil blend combines blue chamomile, eucalyptus, lavender, and peppermint to help calm inflammation, increase flexibility and energize and uplift the spirit. * This essential oil blend will help with the pain of sore muscles. * Available in a concentrate bottle to be diluted in a carrier oil, or a pre-diluted 9 ml roll on which can be safely to skin. Avoid use on hypersensitive, diseased or damaged skin, with infants or children under ten years of age. Keep away from children as even small amounts may be toxic. Should not be used during pregnancy, if you have high blood pressure or if epileptic. These oils are for external use only. See our Safety Information page for further details when using essential oils.